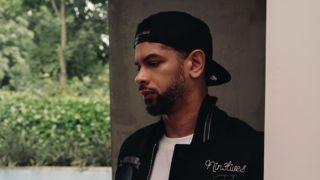 MusicRadar's best of 2018: You’ll know MK (Marc Kinchen) from his 2017 mega-hit 17, which has been streamed more than 100 million times on Spotify alone. He’s also the owner of record label and event brand Area10, which has hosted parties around the world. MK’s house-piano style has become a familiar fixture on playlists, and it’s in evidence once again on Back & Forth, his recent collaboration with Becky Hill - who previously lent her vocal expertise to MK’s 2016 hit Piece Of Me - and Jonas Blue. Having hit on a winning formula, we wanted to know how Marc has become the electronic music luminary that he is, so we asked him for the five most important things he’s learned about production. “Once you’ve recorded and just about finalised what you are doing, if you are a DJ or performer and can test it out before mastering and finalising, it’s the best. I never used to DJ so I never had this perk available to me, but now I just about finish something and then I play it out until I get it right. It’s an amazing way to get an instant answer - I swear by it.